World’s first real-time, on-site feedback tool for the hospitality and leisure industry. Getting and acting on feedback from guests has proven to be a challenging and often daunting task - until now. Olery Feedback helps hospitality and leisure managers satisfy their KPIs by driving a higher response rate and generating more quality feedback. Olery (http://www.olery.com), a leading provider of reputation management software for the leisure and hospitality industry, today announced the launch of a pioneering technique to obtain feedback from guests in real-time. Olery Feedback (http://www.olery.com/feedback) is the world’s first on-site feedback tool that lets hospitality and leisure companies easily solicit real-time feedback from guests in just 30 seconds, and removes many of the challenges that are typically associated with getting guest feedback from traditional paper comment cards or online surveys sent post-visit. Guests can access Olery Feedback anytime and anywhere from a variety of devices including laptops, smartphones and tablets. Olery Feedback is used by independent hotels, hotel chains, boutique hotels, holiday villages, and bed and breakfasts, and provides a sophisticated, timely way for guests to give feedback that can be acted upon immediately to ensure guests have the most memorable experience possible. Sign up for a free, 30-day trial of Olery Feedback or learn more at http://www.olery.com/feedback. 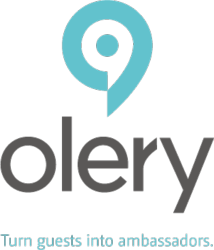 Founded in 2010, Olery is a privately held company based in Amsterdam, The Netherlands. Follow us on Twitter or learn more at http://www.olery.com.